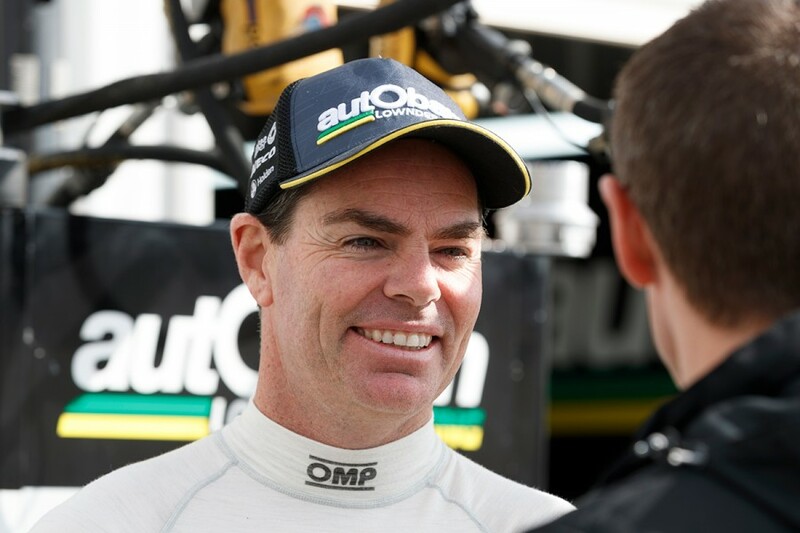 Craig Lowndes has gained the most positions in races across the first 14 legs of the 2018 Virgin Australia Supercars Championship. 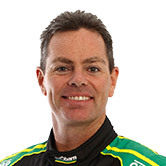 The Autobarn Lowndes Racing driver has picked up a total of 76 places without losing any, based on where he has started and where he has finished, excluding DNFs. That, for instance, includes 22 spots racing from 25th to third in the Sunday leg of the Perth SuperSprint. Lowndes sits atop the order, his ‘net’ result of 76 well clear of Garth Tander and Todd Hazelwood on 36 and 35. Tander has picked up 51 places but also lost 15 - almost all in the dry-wet Albert Park race - while Hazelwood’s number is 36 places gained and one lost. Further down the order, Shane van Gisbergen has a net of 17, while David Reynolds, Fabian Coulthard, Scott McLaughlin and Jamie Whincup have lost eight, 10, 12 and 22 respectively. As their numbers indicate, drivers starting down the grid have more scope to gain positions and fewer to lose. 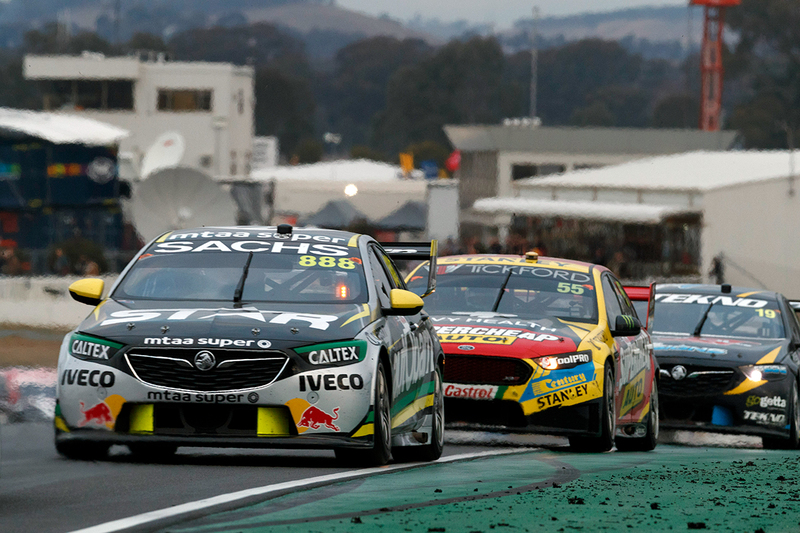 Through the first 14 races, Lowndes has an average grid position of 14.2, against 4.5 and 7.6 for Triple Eight team-mates Whincup and van Gisbergen. 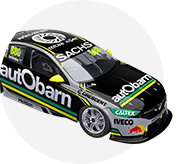 It puts Lowndes 16th of the 26 drivers on that order, with Whincup second and van Gisbergen fourth. Championship leader McLaughlin is again setting the gold standard in ARMOR ALL Qualifying with an average grid position of 3.5 including seven poles. Of the 22 places McLaughlin has gained, 18 came with his charge from 19th to victory at Barbagallo Raceway. Combined, 27 of the 34 McLaughlin has lost were through a puncture in Adelaide (seven), off and change to wets at Albert Park (14) and shift-cut problem at Symmons Plains (six). While Lowndes’ average grid position is one place behind his 2017 figure of 13.3, he has an ARMOR ALL Pole to his name and more top-five starts than in all of last season. Conversely, he has started on the back two rows four times, including in each of the last three races. Lowndes is still tracking at an average finishing position of 7.5 that is 1.6 places ahead of what he managed last year. He is also sitting third in the championship as a race winner, having finished a winless 10th in 2017. All three Triple Eight drivers have struggled for consistency in qualifying, as the team comes to grips with the switch back to the 2016-construction tyres. Predictably, Lowndes also has the biggest difference between his average grid and race positions with a gain of 6.7 places. The next biggest mover on that front is James Courtney with a gain of 3.9 places, then Tander and Hazelwood on 2.6 apiece. Two drivers have the same numbers in their qualifying and race columns, Will Davison on 14.1 and Jack Le Brocq on 16.9. McLaughlin’s average race result is 0.9 places lower than where he has started. That, though, is almost an occupational hazard when you have only started beyond the first two rows of the grid twice.